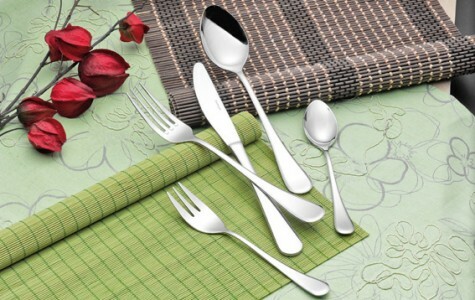 Table fork CELINE, stainless steel 18/10, polished, length: 21.0 cm. Pastry fork CELINE, stainless steel 18/10, polished, length: 16.3 cm. Tablespoon CELINE, stainless steel 18/10, polished, length: 21.0 cm. 24-tlg. Besteck CELINE, Edelstahl 18/10, poliert - Sparset für 6 Personen!